I actually don't think I've read anything this week. Does my mail count? 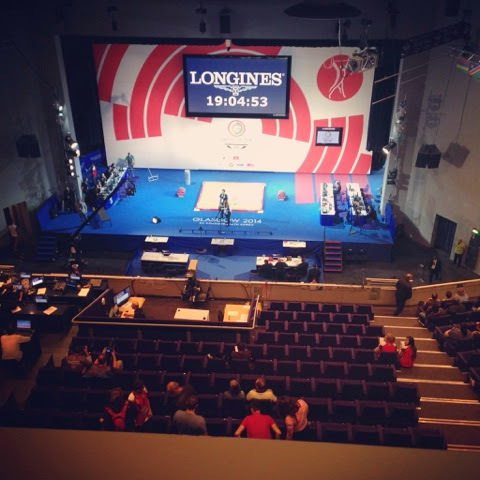 This week R & I went to the Clyde Auditorium to watch the finals of the Mens 94kg Weightlifting for the Glasgow 2014 Commonwealth Games. I enjoyed it much more than I thought I would. One of my highlights was my tweet being shown on the big screen, although I wasn't quick enough to get a photo!! I seriously need to sort out my clothes. I rotate the same three or four outfits each week and I'm so bored with my wardrobe it's unreal. However I'm a stone over my ideal weight and I refuse to spend money (that I don't have!) on clothes until I'm back at my target. It was sweltering in Glasgow last week and I struggled to fit into my only pair of shorts...this worried me :-/ Drastic action is required. I've been listening to my son practicing his graduation poem for nursery. One of the lines is "I'm a graduate, ooh ooh ooh" and I may have jokingly said "I'm a graduate, poo poo poo" which he of course repeated :-/ let's hope he doesn't go with my inappropriate version at his graduation ceremony next week. Oops!!! 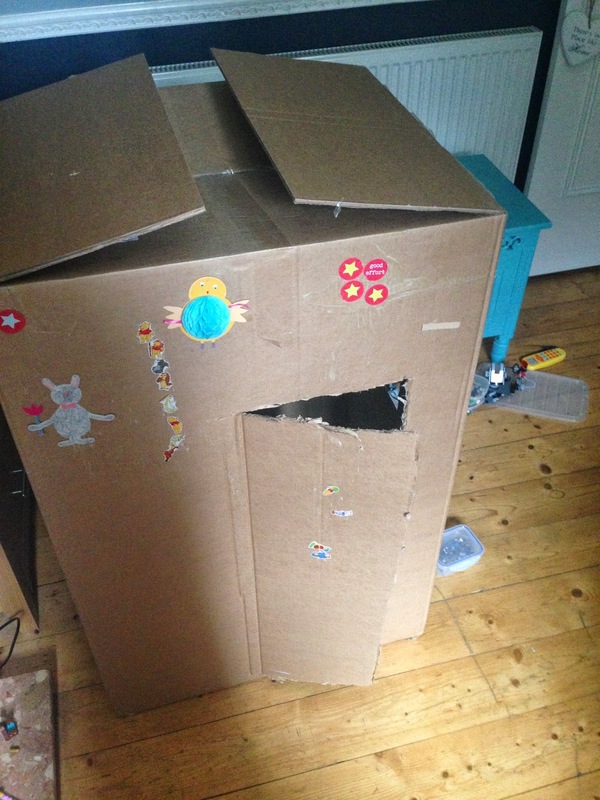 The kids and I made a wee house out of a massive cardboard box this week. It was great fun and they thoroughly enjoyed decorating it and then playing "house"! I've got tickets for the Foodies Festival in Edinburgh (8/9/10th Aug) up for grabs...check out my twitter feed for more info. I'll be picking a winner tomorrow so I can get the tickets sent out in the post asap! We've now decorated it with paint too!! And our house guests Laura & Hannah that were staying with us bought the kids wee LED lights to stick on the inside walls! It's brill!! Fingers crossed he doesn't say "poo poo poo"! I loved the weightlifting, I really got into it. Especially the female lifters, so inspiring. This is a great wee linky, I might join in myself. The Games has inspired me to get active again!